Pete Maddox is an agent with the CIA. Well, for a while. Then he makes the mistake of doing what is right and getting caught and suddenly ... but I get ahead of myself. When the first recorded adventure happens, the year is 1998 and the place is Venezuela, firmly in the control of the "beloved" Hugo Chavez. Maddox has been working as a field analyst in the Agency's Crime and Narcotics Center. With the drug business in next door Columbia going so strong and the incredible amount of petro-dollars around in oil-rich Venezuela, he has been incredibly busy. Throw in several years working in Mexico and handling assignments all through Latin America, Maddox is extremely knowledgeable about the area and the players. A successful rescue mission again brings him to the attention of the brass at Langley and with that notice comes a promotion to Chief of Station in Venezuela. It is there that his life, both professional and personal, will undergo considerable change but that is best read about in the pages of the books. Maddox is likely in his late 30s when we meet him. He has been an agent for just over ten years and had served in the military as an Airborne Ranger prior to leaving the service to join the CIA. He was raised as an army brat, born in Panama when his father was stationed there and moving with his family to "Santo Domingo, the Philippines, and Germany". He speaks Spanish like a native and with his upbringing coupled with his years in Latin America, his knowledge of the whole region is impressive. If it wasn't for being 6'3" tall with "his fair skin, brown hair and piercing blue eyes" which made him look "more like his Minnesota farm born father than his Panamanian mother", Maddox could have passed as a native anywhere south of the U.S. border. 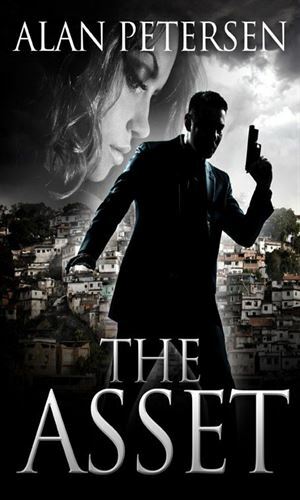 Over the course of the adventures, Maddox's life and career will change but one thing stays constant - he is a sharp, dangerous, highly motivated operative no matter who he works for. While fired operative Pete Maddox does not have the resources of the Agency behind him, he is not without friends and a lot of skills. He needs them when the granddaughter of a dear friend of his wife, Sonia, goes missing. 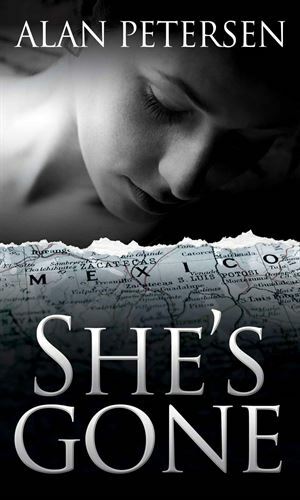 A victim of human trafficking, she is unreachable except for someone of Maddox's talents. 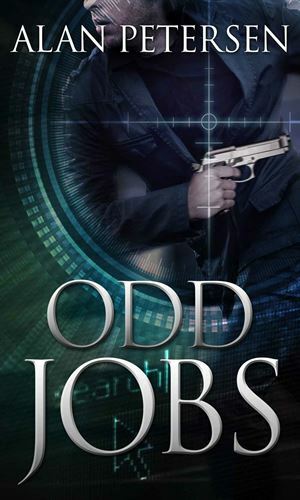 Pete Maddox manages to keep his skills sharp by doing the odd job for the mysterious Threat Elimination Network, a secret organization run by a Board of Directors who are very selective who they use as freelancers. Now someone is killing off those operatives and have exposed Maddox and his family, putting them in danger. He is not happy about that. While checking out the first book, I had hooked right away (always a good sign) and stayed hooked for a good chunk of the way but then wavered a bit before getting thoroughly snared for the last third. All-in-all, a good book that I would recommend. Then came the second book and a totally different environment for the character, taking place a few years later, and I was into this from the first page to the very end. I did not want it to end and couldn't wait to see how it came out. It dealt with a theme I like - really bad guys used to picking on normal people being hunted by a true professional. Boy, did I love this adventure. So I was nervous about the third book since the second was so great. How big of a letdown would I face? Answer - none. The third book takes yet another twist. Same characters but now the main guy is the one likely being hunted even as he pursues the hunter. Great idea, skillfully crafted. I eagerly await the next book. I do not know, as of this writing, when or if there will be another. The first came out in 2013 with the second a year later. The third did not get released, from what I can see, until 2018. So I can only hope there might be more. But if there is or is not, I hope the writer keeps writing. I have his name on my "always buy" list now.